Updated: Oct. 23, 2014. Veterans Day is soon approaching and there are many restaurants and companies who want to thank our veterans by providing them with discounts or a free meal. To those companies offering veterans a free meal or discount, the military community gives a collective thanks! Applebees Veterans Day AppreciationApplebee’s – free meal, Nov. 11, 2014: Last year, Applebee’s served over one million free meals to military veterans and active servicemembers. Applebee’s is again offering a free meal to military veterans and active-duty service members on Veterans Day, Tuesday, Nov. 11, 2014. There will be 7 entrées to choose from, beverage and gratuity not included. Military ID or proof of service required. More. Bob Evans, Nov. 11, 2014. Free All you can eat hotcakes.  For active duty military and veterans with ID or proof of service. Locations. California Pizza Kitchen, Nov. 11, 2014. Choose a pizza, full size salad, or pasta from the special Veterans Day Menu. Dine-in only. Please come in uniform or bring your military I.D. or other proof of service. Find a location near you. Carraba’s, Nov. 11, 2014. Free appetizer of your choice for active duty servicemembers and veterans. Military ID or proof of service required. Locations. Cattlemens Steakhouse, Nov. 11, 2014. Free 8 oz Sirloin Steak Dinner and beverage on Veterans Day. Proof of service required. Locations. Chilis Restaurant Free Veterans Day DinnerChili’s – free meal, Tuesday, Nov. 11 2014. Chili’s is offering all military veterans past and present their choice of one of 7 meals during the dinner hour, or any lunch combo during lunch. Offer only available at participating Chili’s in the U.S. only. Dine-in from limited menu only; beverages and gratuity not included. Veterans and active duty military simply show proof of military service. Visit their website to find locations. Cotton Patch Café, Nov. 11, 2014. Free meal for current and former military members. Choices include full-size chicken fried steak, or chicken fried chicken. Proof of service required. Locations. Country Cookin, Nov. 11, 2014. Free meal for current and former military. Proof of service required. Locations. Fatz Eatz & Drinkz, Nov. 11, 2014. Free meal for current and former military members, up to $13.00 value. Proof of service required. Locations. Friendly’s, Nov. 11, 2014. Free breakfast, lunch, or dinner. Breakfast offering is free a Big Two Do breakfast, which includes a coffee and the choice between French toast, buttermilk pancakes, or regular toast along with bacon or sausage links, and some eggs. Lunch or dinner includes an All-American Burger served with fries and a beverage. Offer available for active military and veterans with ID or discharge papers. Participating locations only. Locations. golden corral free veterans day mealGolden Corral – Free meal, Monday Nov. 17, 2014 (5pm – 9pm): The 14th annual Golden Corral Military Appreciation Monday dinner will is available to any person who has ever served in the United States Military. If you are a veteran, retired, currently serving, in the National Guard or Reserves, you are invited to participate in Golden Corral’s Military Appreciation Monday dinner. For more information visit http://www.goldencorral.com/military/. Special thanks to Golden Corral: To date, Golden Corral restaurants have provided over 4 million free meals and contributed over $8.7 million to the Disabled American Veterans organization. Amazing! Hooters Veterans Day – Free MealHooters, Nov. 11, 2014. Tuesday, Nov. 11, Hooters invites all veterans and current servicemen and women to enjoy a free meal, up to $10.99 in value with any drink purchase, by presenting a military ID or proof of service at any Hooters location across the country. Locations. Hoss’s Family Steak & Sea House, Nov. 11, 2014. Free meal form the American Values Menu, Nov. 11 from 11:00 a.m. to 9:00 p.m. Includes soup, salad, desert, and beverage. Dine-in only, valid ID or proof of service required. Locations. Longhorn Steakhouse Veterans DayLongHorn Steakhouse, Nov. 11, 2014. Complimentary Texas Tonion and non-alcoholic beverage. Offer good for Veterans and active-duty military members. Proof of service required. Visit their site to find a location near you. Max & Erma’s free Veterans Day MealMax & Erma’s, November 11, 2014. Participating Max & Erma’s locations are offering military members and veterans a free Best Cheeseburger in America Combo, which includes tortilla soup or side Caesar salad, seasoned fries, and chocolate chip cookies. Dine-in only. Call ahead to verify participation. ID or proof of service required. More info. Locations. McCormick and Schmicks Veterans Appreciation DayMcCormick & Schmick’s Seafood Restaurants – free lunch or dinner, Sunday Nov 9, 2014: McCormick & Schmick’s is celebrating their 16th annual Veteran’s Appreciation Event on Sunday, November 9th. Veterans will be able to choose a complimentary lunch or dinner entrée from a special menu. Veterans must provide proof of military service. Be sure to contact your local McCormick & Schmick’s as this is valid at participating restaurants only. Also, space is limited and reservations are highly recommended. For more information visit: M&S Veterans Appreciation Event. Menchie’s, Nov. 11, 2014. All veterans and current servicemembers will receive a free 6 oz. frozen yogurt on Veterans Day. Locations. Noah’s Bagles, Nov. 11, 2014. Free coffee for active duty and veterans. Proof of service required. Locations. Outback Steakhouse Veterans DayOutback Steakhouse – Nov. 11, 2014. Outback Steakhouse is honoring America’s military veterans by offering active duty military and veterans a free Bloomin’ Onion and a non-alcoholic beverage. This offer is available to Military Personnel and veterans with ID. Also receive 15% off your purchase from Nov. 12-Dec 31, 2014. Locations. Pinnacle Entertainment (Casino Chain), Nov. 11, 2014. Select locations are offering a free buffet meal for current military members and veterans. ID or proof of service required. More info and locations. Red Lobster Veterans DayRed Lobster – Monday, Nov. 10 – Thursday Nov. 13, 2014. Free Appetizer on Veterans Day with military ID or proof of service. Vets may choose from a select list of appetizers. Find a location near you. Shoney’s, Nov. 11, 2014. Free All-American Burger to veterans and active duty servicemembers. Dine-in only, Proof of Service required. More info. Locations. Sizzler Restaurant logoSizzler Restaurants, Nov. 11, 2014. Free lunch served until 4pm. Choice of 3 entrees, and a free coffee, tea, or fountain drink. Valid with proof of military service. Dine-in only, not valid for salad bar or gratuity. Locations. UNO’s pizza Veterans DayUno Chicago Grill, Nov. 11, 2014. Free individual pizza or entrée with the purchase of a pizza or entrée of equal or greater value. Available for all active duty and veterans. No coupon necessary; proof of service required. Don’t forget to tell the staff you are there that day to support Fisher House, and a portion of your party’s check will go to benefit the Fisher House Foundation, an awesome military charity. Find a location near you. 54th Street Grill, Nov. 11, 2014. Free meal, up to $12 value, valid for current and former service members (more info). Proof of service required. Locations. Many restaurants and companies offer an annual Veterans Day promotion. The following deals were active last year, but have not yet been confirmed for 2014. Please feel free to contact me if you have information about 2014. Please do not assume these deals are in place for 2014 – call ahead to verify! (We will continue to update this list until Veterans Day 2014, so check back!). Bar Louie America – Veterans DayBar Louie, Free meal on Nov. 10th and 11th, 2013. From open to close Sunday, November 10th and Monday, November 11th every Bar Louie location across the country will offer veterans and military personnel a free meal up to a $12 value. Available at all locations, military ID or proof of service is required (source). Find a location near you. Champps Americana Veterans Day MealChampps Americana, Nov. 11, 2013. Participating Champps locations are offering veterans and active duty servicemembers a free hamburger (7 to choose from) and waffle fries from open to close on Monday, November 11, 2013. Dine in only, valid at participating locations (call ahead to verify local participation). More info, Find a location near you. Cheeseburger in Paradise, Monday, Nov. 11 2013. Free All-American Burger with fries with purchase of beverage and military ID or proof of service. Available to active military or veterans. Beverages and gratuity not included, dine-in only. Find a location near you. Denny’s Veterans Day DinnerDenny’s Veterans Day Appreciation Event, Nov. 11, 2013. Free all you can eat pancakes from 6 a.m. – 2 p.m. on Monday, Nov. 11 for all active, retirees, and veterans with a valid military ID or proof of military service. Offer available in every Denny’s nationwide. Locations. Famous Daves Veterans Day CelebrationFamous Dave’s, Nov. 11, 2013. Free or discounted meals on Veterans Day. Offer varies by location, please check the Famous Dave’s Veterans Day page or call your local restaurant for more information. Fox and Hound Bar and Grill Veterans Day OfferFox & Hound and Bailey’s Sports Grille, Nov. 11, 2013. Free Sandwich or Entree (up to $13) for active duty military and veterans with ID or proof of service. Dine-in only and at only at participating locations. Locations. Little Caesars Pizza Crazy BreadLittle Caesars® Pizza, Nov. 11, 2013. Little Caesars is honoring the men and women of the United States armed forces this Veterans Day by providing veterans and active military members with a free Crazy Bread® with proof of military status or proof of service at participating stores nationwide. Call ahead to verify participation. O’Charley’s, Monday, Nov. 11, 2013. Free entree from the $9.99’er menu for all active military and veterans with proof of service. Find a location near you. On the Border Veterans Day SpecialOn The Border, Mon. Nov. 11, 2013. Veterans ans current servicemembers will receive a free entree from the “Create Your Own Combo menu,” featuring more than 150 possible dinner combination. On the Border will also donate 15% of your purchase to Carry the Load, a non-profit military organization (bring a copy of this flyer for the donation). Dine-in only, proof of service required. Find a location near you. Red Robin Veterans DayRed Robin, Monday, Nov. 11, 2013. Free Red’s Tavern Double and Bottomless Steak Fries for all Red Robin guests with a military ID or proof of service. Red Robin is also partnering with Heinz for Veterans Day to benefit the Wounded Warrior Project. Red Robin will also donate $10,000 to the Wounded Warrior Project. Find a location near you. The Spaghetti Warehouse Veterans DaySpaghetti Warehouse, Sunday Nov. 10 – Monday, Nov. 12, 2013. Buy one entrée, get one free, coupon required. Choose any of 11 Original Recipe Spaghetti entrées and receive a second entrée free. Friends and relatives are encouraged to treat a veteran to a meal. Texas Corral Veterans DayTexas Corral – Monday, Nov. 11, 2013. Free entrée (dine-in only). Offer available to all active duty members and veterans with ID. Note: All Texas Corral locations also regularly offer a 50% discount to active duty police officers, firemen and military personnel dining in. Call ahead for participation. Locations. Texas Roadhouse Veterans Day MealTexas Roadhouse, Nov. 11, 2013, starting at 11am. Every Texas Roadhouse location across the country will participate in the free lunch event to honor the men and women of our armed forces. Choose from one of 10 free meals, plus sides and a drink. Offer good for All veterans – including all active, retired or former U.S. military. ID Required. Dine-in only. Call ahead to verify times and locations. Find locations. T.G.I.-Fridays Veterans Day Free MealT.G.I. Friday’s, Nov. 11, 2013. Free lunch for all current military members and veterans from 11:00 a.m. to 2:00 p.m. Valid ID or proof of service required. Dine-on only at participating locations. Be sure to contact your local T.G.I Friday’s for details. Locations. The Olive Garden Veterans Day entreeThe Olive Garden, Free entrée, Nov. 11, 2013. Offer good for veterans and active duty military, on Monday, November 11th during regular business hours. Choose from a special menu; all entrées inlcude freshly baked garlic sticks and choice of soup or salad. Offer good in US and Canada, proof of service required. Additionally, all current military members and their families are eligible for a 10% discount during the month of November during Military Family Appreciation Month. Olive Garden and the USO to donate 15,000 storybooks to support United Through Reading’s Military Program during this promotion. Locations. Tony Roma’s Veterans Day Free MealTony Roma’s, Nov. 11, 2013. Free Entree, up to $15 for current and former military members with valid proof of service. Valid at select locations only. Please call ahead to verify participation. Details. Twin Peaks Restaurants Veterans DayTwin Peaks, Nov. 11, 2013. Free meal for current and former servicemembers with proof of service or valid ID. Locations.